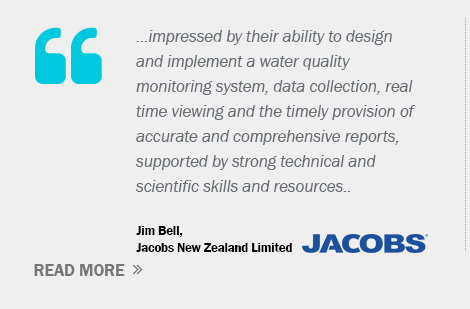 Jacobs will be undertaking submarine pipeline crossing construction works for the Christchurch City Council Lyttelton Wastewater Project. 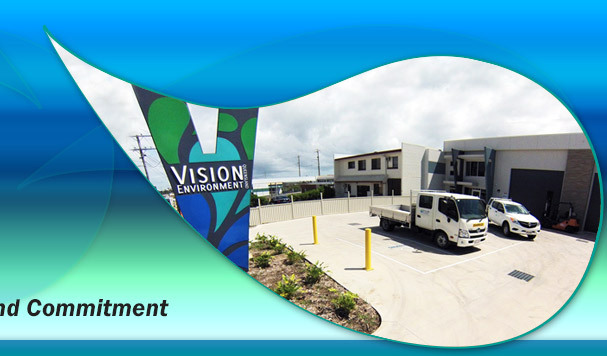 Vision Environment (VE) is undertaking the water quality monitoring program, which requires telemetered surface monitoring and weekly sampling adjacent to the pipeline corridors. 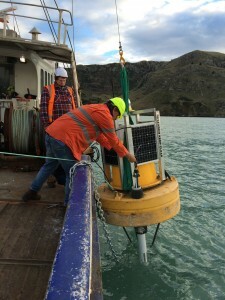 Water quality monitoring and data collection undertaken by VE for Lyttelton Port of Christchurch, the South Island’s largest port, commenced in August 2016. Lyttelton Port Company (LPC) is proposing a Channel Deepening Project (CDP) to widen, deepen and extend the existing navigational channel to allow larger vessels access to the Port. In what is to be New Zealand’s largest dredge project, approximately 18 million m3 of material is to be dredged and disposed of at an offshore spoil ground location. VE has installed 14 telemetered (real time) monitoring stations including telemetered ADCP, in addition to a number of benthic measuring units, altimeters to measure sedimentation rates and a weather station. 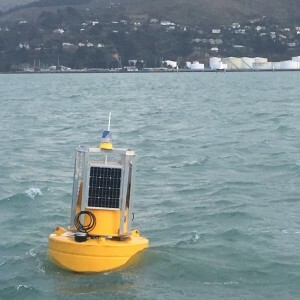 The buoys have been modified to withstand the extreme weather conditions experienced on the SE New Zealand coastline. The real time monitoring is being supplemented by regular water sampling for a range of parameters. Data is able to be viewed by the public in real time on a custom built viewing platform at the same time as LPC, without a delay period. VE was instrumental in the design of the monitoring program in addition to providing expertise for the consent hearing process.VE has established a branch office and maintenance facility in Christchurch to support its New Zealand operations. 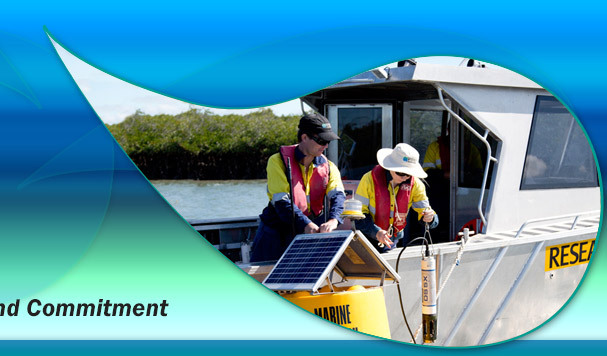 North Queensland Bulk Ports (NQBP) required the implementation of an ambient marine water quality monitoring program at Abbot Point, similar to Port of Mackay and Hay Point QLD, in order to monitor ambient conditions when no development was being undertaken. 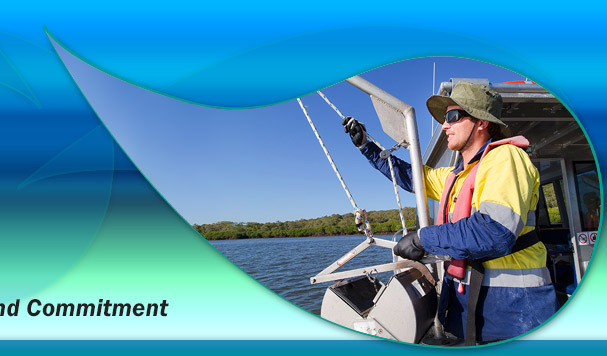 The program is designed to ramp up considerably during development, to ensure that any potential impacts on sensitive receptors (the adjacent Great Barrier Reef Marine Park) are properly understood. Ambient monitoring commenced in October 2015 and is ongoing. 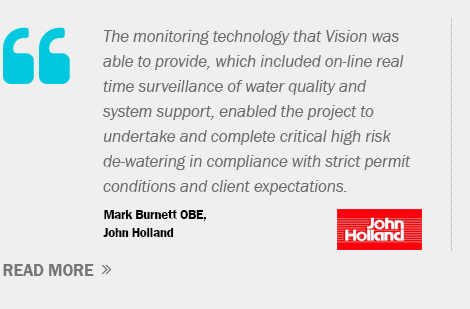 VE is responsible for the water quality component of the project in an exposed offshore area up to 25 m depth. 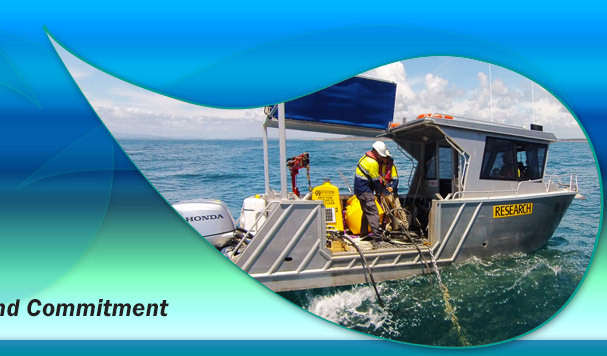 Monitoring includes continuous surface loggers, diver deployed continuous benthic loggers, altimeters to measure sedimentation rates and bimonthly water sampling. 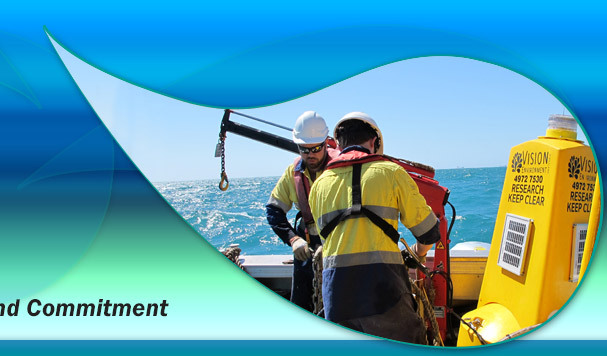 VE recently implemented a five month baseline, compliance and post dredge monitoring for the TasPorts Devonport Dredging project in Tasmania, as per the adaptive dredge management plan (ADMP) developed for the project. The ADMP was developed to manage risks associated with a scallop bed adjacent to the project area. Monitoring included benthic telemetered physicochemical loggers (in triplicate at each site) and telemetered ADCP providing real time current data for predictive dredge plume movements. An in house designed Acoustic (non-cabled) data delivery system was constructed for the project, in order to combat the harsh Bass Strait environment. To our knowledge this was a first for acoustic delivery of physchem data in Australia. 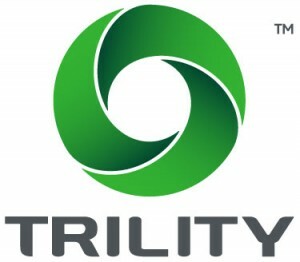 Through collaboration with Babel-sbf Pty Ltd, a compliance dredging status App or Widget, for SMART devices or PC viewing was introduced to the project. 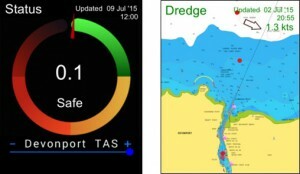 Real time SMART data was pushed to the Widget displaying a current dredging status value against the compliance trigger value in a colour coded dial, in addition to real time dredge movements through AIS. The Widget was utilised by the client for the ultimate quick status update, but was also linked to the client website for public access. The Widget was introduced as an Australian first to the TasPorts Devonport Project and assisted to keep the client, Technical Advisory Committee and public immediately informed. VE has undertaken dredge assessment and compliance monitoring in Gladstone for most major capital works dredge events since 2000, including providing compliance monitoring for both the QCLNG Narrows Crossing project and the Western Basin Dredge and Disposal Project (WBDDP), over a three-year period. 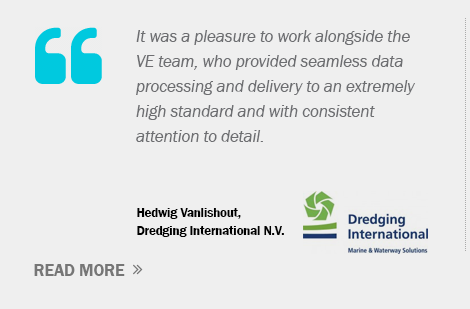 As the primary environmental contractor for what was the second largest dredging project in Australia to date, VE has experienced first-hand the unforeseen issues which can develop during development and construction projects. As a result of those issues there has been a greater amount of scrutiny from both regulators and stakeholders, including SEWPAC (Commonwealth Department of Environment), GBRMPA (Great Barrier Reef Marine Park Authority) and UNESCO, of future developments adjacent to or within the Great Barrier Reef Marine Park. This has resulted in a heightened level of the due diligence process, potentially raising the benchmark for future projects in Queensland. VE has demonstrated the ability to rise to that challenge, surpassing our client’s needs and expectations. 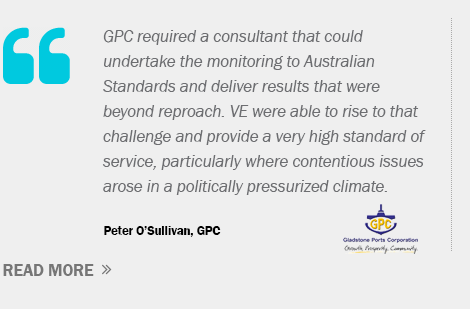 Water quality monitoring was undertaken by VE for GPC, to provide interpreted baseline data to support the process of the EIS for the Port of Gladstone Channel Duplication Project. VE was responsible for the program design and implementation of baseline water quality monitoring for the EIS. VE developed new technology and instrumentation specifically for the project, to permit the simultaneous measurement of telemetered benthic and surface physicochemical parameters in conjunction with benthic PAR and sedimentation rates. VE also undertook the marine ecology component of the EIS, including assessment of coral habitats, fish, and macrobenthic communities. VE is undertaking quarterly water quality and sediment monitoring of 54 sites across the harbour from Port Alma to Rodds Bay. Monitoring is undertaken using handheld WQ meters, discrete water sampling and biomonitor organisms (transplanted oysters). The program includes an extensive QA/QC component, including duplicates and triplicate and analysis at primary and secondary laboratories. VE is additionally responsible for data collation and annual report writing. 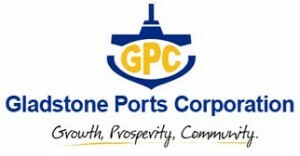 PCIMP data is utiilised by the Gladstone Healthy Harbour Partnership to produce their annual Report Card. VE has a proven track record and is committed to delivering high quality and timely services to our regional, national and international Clients. The involvement of our experts in the fields of water quality management and ecology allows for seamless design, implementation and execution to address complex environmental issues.